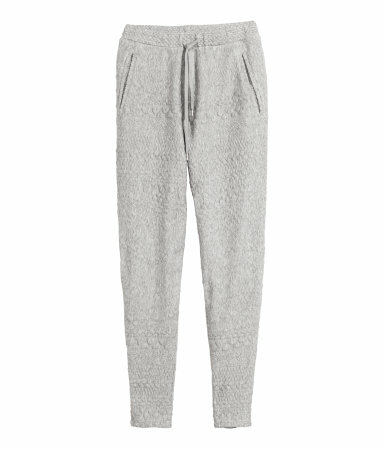 Yes, you can wear an elastic waistband at the office. That's right, sweatpants are completely appropriate work attire. Just make sure you choose woven fabrics in wool and silk over cotton, and stay away from knits, like jersey and terrycloth—they're just way too casual. Depending on how conservative your office is, it may also be a good idea to stick to pants that have cuffed hems instead of scrunchy hems, and/or a traditional pant closure in the front with the elastic just in the back. If there is a visible drawstring on the front of the pants, make sure you keep it hidden under an untucked blouse or sweater for a more polished look. They fit just like denim jeans, but in more formal fabrics. Cotton twill (khakis) are the traditional choice, but fine-gage corduroy and velvet have a richer feel and are great for fall. 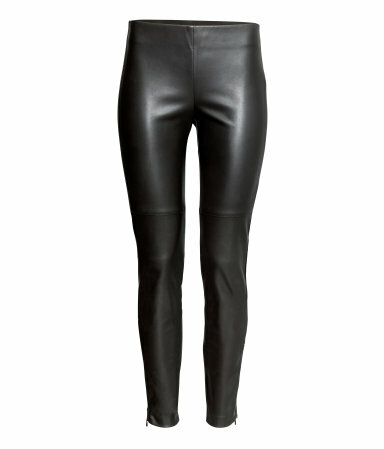 The trick to getting leather pants to work at the office is making sure they are neither too tight nor too shiny. If you are going to wear a skinny-style leather pant, make sure the ankle opening isn't skintight; otherwise, it will look like you are wearing leggings. Leather pants with front closures generally look more professional than pull-on styles with a lot of stretch and no closure, so if you do choose to wear pull-on leather pants, make sure you pair them with an untucked top that is long enough to keep the waistband hidden. It's not appropriate to wear leggings as pants to the office—not even here at Cosmo. They are too tight and flimsy. But neoprene scuba pants are a different story. 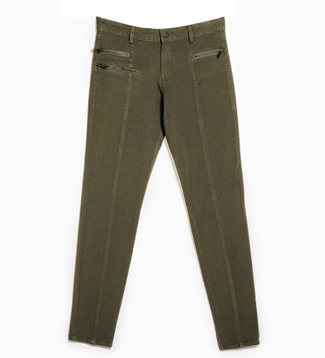 Even when they fit just like a legging, the thickness of the fabric gives them a weight and shape that makes them feel completely office-appropriate. Look for tailored silhouettes that skim the body. If the jumpsuit is low-cut, layer a camisole underneath. If it is sleeveless, add a blazer. Even if it's not sleeveless, a blazer is a great way to add a little more structure and seriousness to any jumpsuit look.